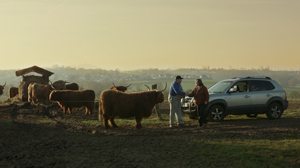 Entwicklungspolitische Filmtage Linz taking place 28.03.-06.04.2019 in Linz, Freistadt, Haslach and Gramastetten. 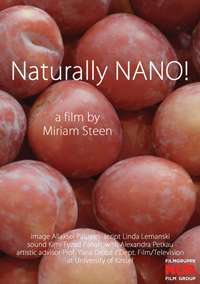 Co-author Miriam Steen will be present for the screening. ALL ABOUT PEOPLE is screened at Kino Burgtheater Ratzeburg, on tuesday, 05.03.2019, at 6:30 p.m., in presence of co-author Miriam Steen and other members of NUR film group. 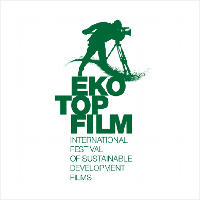 The screening takes place in cooperation with Buske Verlag Hamburg. ST. NICHOLAS FOR EVERYONE by Niklas Seehausen, ALL WRAPPED UP by Rike Holtz, TRACES OF WAR by Jana Richter are shown at 4:30 p.m. and ALL ABOUT PEOPLE by Giorgi Abashishvili is shown at 6:30 p.m. on saturday, 16th of february at Moritzhof Kino, Magdeburg. The directors are present. 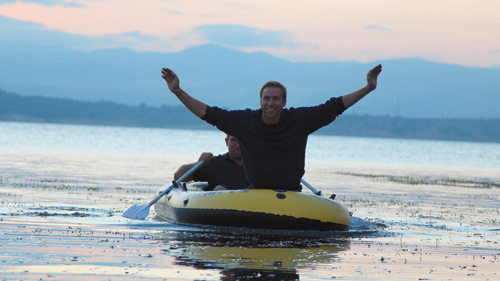 LAKE OF HAPPINESS by Aliaksei Paluyan has its World Premiere at the 41. Clermont-Ferrand Shortfilm Festival, taking place 01.02.-09.02.2019. Director, producer and main actress of the film will be present at the screenings. ALL ABOUT PEOPLE is screened at Metropolis Kino, Hamburg, on saturday, 12.01.2019., at 5 p.m. in presence of director Giorgi Abashishvili. LABOUR by Aria Azizi has its World Premiere at the 27th Euroshorts International Filmfestival, taking place 26.11.-02.12.2018 in Gdansk, Poland. on sunday, 04.11.2018., at 12 p.m. in presence of director Giorgi Abashishvili. ALL ABOUT PEOPLE is screened at Brotfabrik Kino, Caligariplatz 1, 13086 Berlin from 19.10.-24.10. at 8 p.m.
On Saturday, 20.10. the screening will be in presence of director Giorgi Abashishvili. next screenings are 12.10. 7:30 p.m., in presence of director Giorgi Abashishvili, and 24.10., 7 p.m., at Karlstorkino Heidelberg, Am Karlstor 1, 69117 Heidelberg. is screened 09.10. 8 p.m. at Caligari Filmbühne, Marktplatz 9, 65183 Wiesbaden, presented by the goEast Filmfestival and in presence of director Giorgi Abashishvili. is screened 30.09. 3 p.m. at Rex am Ring Kino, Hohenzollernring 60, 50672 Köln, in presence of director Giorgi Abashishvili. next screenings are 06.09. 6 p.m., 09.09. 8:30 p.m. (in presence of director Giorgi Abashishvili), 10.09. 6 p.m. and 11.09. 8:30 p.m. at cinema City 46, Birkenstraße 1, 28195 Bremen. COUNTRY OF WOMEN by Aliaksei Paluyan is selected for the International Short Competition of the 9th Creative Documentary Filmfestival MakeDOX. The screening takes place 17.08.2018 8:30 p.m. at Kuršumli An Cinema, Skopje, Macedonia. 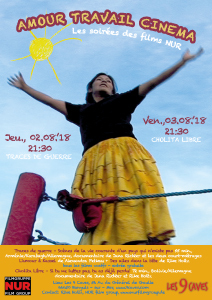 The 3rd Les Soirées des films NUR take place 02.08.2018 and 03.08.2018 at 09:30 p.m.
at the cultural centre Les 9 Caves in Banyuls-sur-mer, Southern France. ALL ABOUT PEOPLE (Alles über Menschen) by Giorgi Abashishvili is shown at the13th International Kids and Youth Filmfestival, taking place 11.07.-17.07.2018 in Busan, South Korea. Screening dates are Friday, 13th of July, 10 am and 16th of July, 8 pm. 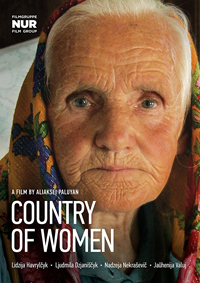 COUNTRY OF WOMEN by Aliaksei Paluyan is selected for the International Competition of the 14th ZagrebDox International Documentary Filmfestival, taking place 26.02.-03.03.2018 in Zagreb, Croatia. ALL ABOUT PEOPLE (Alles über Menschen) by Giorgi Abashishvili at the cinema! 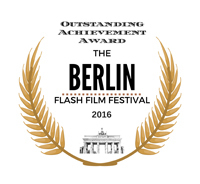 The award-winning feature film is shown at Kommunales Kino Lübeck, Mengstr. 35, 23552 Lübeck. Dates are 03.02.2018 and 04.02.2018 at 4 p.m. In presence of the filmmaker and team. ALL WRAPPED UP by Rike Holtz was awarded the PRIZE FOR BEST MEDIUM OR FEATURE FILM at the 9th Cinalfama International Film Awards taking place 24.01.2018 in Lisbon, Portugal. 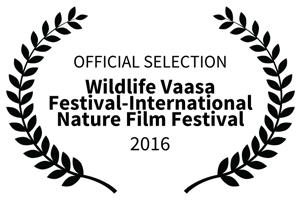 WATERBACKPACK PAUL by Miriam Steen is selected for the 11th Voices of Water Travelling Filmfestival, taking place from the 14.12.-17.12.2017 in Karnataka, India, organized by the Bangalore Film Society. TICKET FROM THE PAST by Miriam Steen is shown at the 6th ULTRACinema International Film Festival, taking place from 30.11.-03.12.2017 in Puebla, Mexico. BORDERLESS by Aria Azizi will be shown in the Official Competition of the Filmschoolfest Munich taking place from 19.11.-25.11.2017 in Munich, Germany. BEING SISTERS by Kimia Eyzad Panah was awarded with the 1. 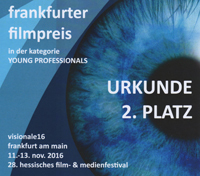 Prize in the Category YOUNG PROFESSIONALS at the Visionale, Frankfurt, taking place 10.-12.11.2017 at the Galluscenter, Frankfurt. COUNTRY OF WOMEN by Aliaksei Paluyan was awarded with the SPECIAL PRICE FOR ADHERENCE OF MORAL IDEALS IN CINEMA ART at its World Premiere in the Competition Section of the LISTAPAD International Filmfestival Minsk, taking place 03.11.-10.11.2017 in Minsk, Belarus. 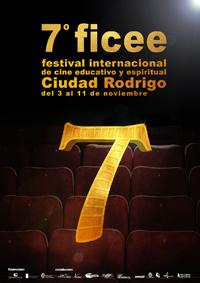 ALL ABOUT PEOPLE by Giorgi Abashishvili was honoured with 2 awards af the 7th FICEE Festival Internacional de Cine Educativo y Espiritual, held from November 3 to 11, 2017 in the city of Rodrigo in Salamanca, Spain: AWARD FOR THE BEST FEATURE FILM and SPECIAL AWARD DENIS RAFTER. 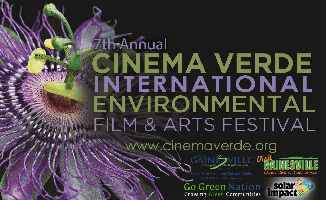 WATERBACKPACK PAUL by Miriam Steen has been selected as finalist for the Handle Climate Change Film Festival in Shenzhen, China, taking place September 23rd 2017. 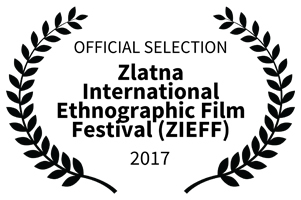 TICKET FROM THE PAST by Miriam Steen is shown in the Official Competition of the 5th Zlatna International Ethnographic Filmfestival, taking place from 22.09.2017-24.09.2017 in Zlatna, Romania. ALL ABOUT PEOPLE by Giorgi Abashishvili is selected for the 6th International Urban Filmfestival, taking place from 30.07.2017-05.08.2017 in Tehran, Iran. 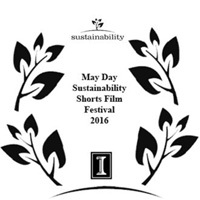 RETURNING by Aliaksei Paluyan was shown at the 23rd European Short Film Festival of Independent Authors Berlin on 30.06.2017. The festival was held by BDFA, the Association of Film Writers, Germany. ALL ABOUT PEOPLE by Giorgi Abashishvili won the JURY AWARD FOR THE BEST FILM and the AUDIENCE AWARD at the 7th International Philosophical Film Festival Skopje and will be shown in a Special Screening at the Cinematheque of Macedonia in Skopje, Sunday, 4th of June 2017, at 8 p.m.. Film director Giorgi Abashishvili will be present for Q&A after the screening. 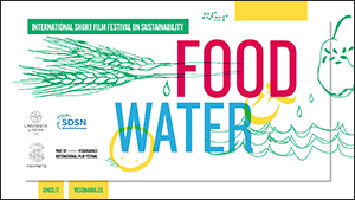 The three films WATERBACKPACK PAUL, FARMING 2020 and NATURALLY NANO by Miriam Steen are shown at the Food and Water International Short Film Festival on Sustainability, taking place at Santa Chiara Science Lab Auditorium in Siena, Italy, May 22d at 6.30 p.m. 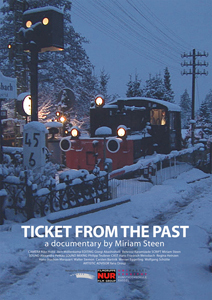 TICKET FROM THE PAST by Miriam Steen is selected to participate in the short documentary competition of 19th Ismailia International Film Festival in Egypt, taking place from 19th to 25th of April. LIBERATION and FIGHTER by Kimia Eyzad Panah are selected for the Arc Filmfestival, taking place from 21.-23.04.2017 in Mainz. DEPORTATION AT MIDNIGHT by Aria Azizi is shown at the Afgansk Filmfestival organised by the Danish Filminstitute taking place at the the Danish Cinemateque in Copenhagen from 12.04.-21.04.2017. 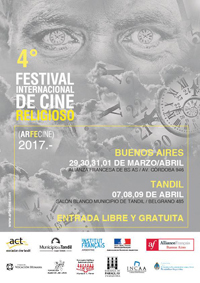 ALL ABOUT PEOPLE and A LITTLE ROOM by Giorgi Abashishvili are shown at the ARFECINE Festival Internacional de Cine Religioso, taking place in Buenos Aires and Tandil, Argentina, from 29.03.-01.04.2017 and 07.04.-09.04.2017. 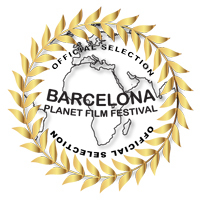 ALL ABOUT PEOPLE is selected for the Official Competition. ALL ABOUT PEOPLE by Giorgi Abashishvili is selected for the Official Competition of the LICHTER Filmtage, taking place 28.03.-02.04.2017 in Frankfurt, Germany. It will be the German Premiere. ALL ABOUT PEOPLE by Giorgi Abashishvili is shown at the 7th Philosophical Film Festival Skopje Macedonia, 30.03.-07.04.2017. TICKET FROM THE PAST by Miriam Steen is selected by the Goethe Institute to be screened at the 18th International Archaeological Film Festival, at the Jugoslovenska Kinoteka, Belgrad, 23.03.-30.03.2017. WATERBACKPACK PAUL by Miriam Steen and LIBERATION by Kimia Eyzad Panah are shown at the 5th Nepal Human Rights International Filmfestival, taking place 17th to 19th of March in Kathmandu, Nepal. TRACES OF WAR by Jana Richter is selected for the Days of Ethnographic Film 2017, taking place 01.03.-04.03.2017 in the Slovenian Cinemateque Ljubljana, Slovenia. 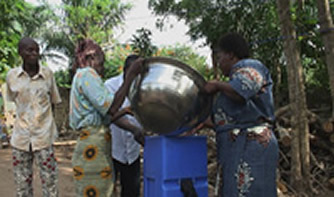 WATERBACKPACK PAUL by Miriam Steen is selected for the Frozen River Film Festival taking place 15.02.-19.02.2017 in Winona, Minnesota, USA. The AegeanDocs Filmfestival travels to Tripolis, Greece, and screens the film TICKET FROM THE PAST by Miriam Steen at Arcadian Screenings on 26th of February. 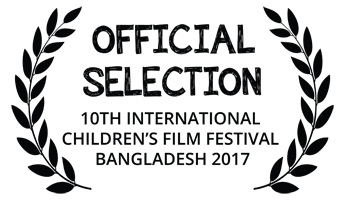 ALL ABOUT PEOPLE by Giorgi Abashishvili and WATERBACKPACK PAUL by Miriam Steen are selected for the International Competition of the 10th Bangladesh Children Filmfestival, taking place from 24.01.-30.01.2017 in Dhaka, Bangladesh. 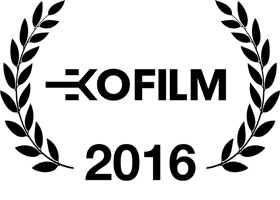 FIGHTER by Kimia Eyzad Panah was awarded with the OUTSTANDING ACHIEVEMENT award at the Berlin Flash Film Festival, taking place 27.-30.12.2016 in Berlin. LIBERATION by Kimia Eyzad Panah was shown at the International Monthly Film Festival in London, on december 27th, 2016. TICKET FROM THE PAST by Miriam Steen was shown at the 4th Arkhaios Cultural Heritage and Archaeology Film Festival, Hilton Head Island, taking place from 01.-03.12.2016 in South Carolina, USA. 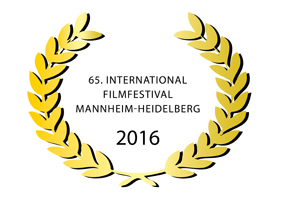 ALL WRAPPED UP by Rike Holtz will have it's World Premiere at the 65.International Filmfestival Mannheim-Heidelberg, taking place from 10.11.-20.11.2016. The shortfilms LIBERATION and FIGHTER by Kimia Eyzad Panah were selected for the 28th film & medienfestival visionale Hessen, taking place from 11.-13.11.2016 in Frankfurt. LIBERATION was awarded with the 2nd prize in the section YOUNG PROFESSIONALS. LIBERATION by Kimia Eyzad Panah was selected for the Barcelona Planet Film Festival, Edition November 2016. 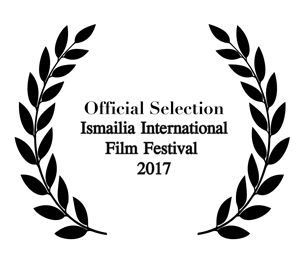 RETURNING by Aliaksei Paluyan will be presented in the International Competition at the 33rd Tehran International Short Film Festival. WATERBACKPACK PAUL by Miriam Steen will be shown at the Green Screen Environmental Filmfestival, taking place 01.-12.11.2016 in Trinidad and Tobago. 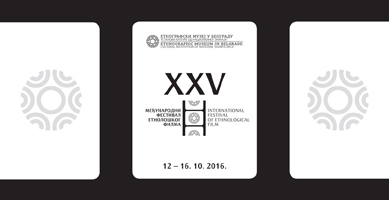 TRACES OF WAR by Jana Richter and TICKET FROM THE PAST by Miriam Steen are both selected for the Official Programme of the 25th International Festvial of Ethnological Film, Belgrade, 12.-16.10.2016. 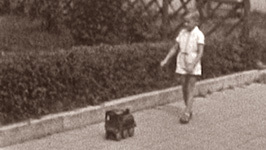 TRACES OF WAR is shown in the Official Competition. 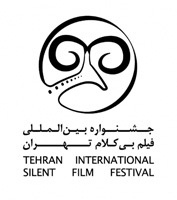 The shortfilm FIGHTER by Kimia Eyzad Panah was selected for the Tehran Silent International Filmfestival. ALL ABOUT PEOPLE by Giorgi Abashishvili has its World Premiere in the Official Competition of the 12th International Cine Pobre Film Festival in Gibara, Holguín. TRACES OF WAR by Jana Richter won the Award for BEST FILM MADE BY NON-ANTHROPOLOGISTS at the 8th Ethnographic Film Festival in Rovinj, Croatia. 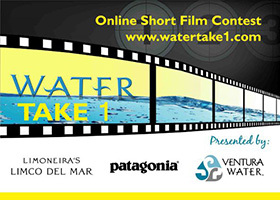 PAUL by Miriam Steen is selected at the 4th Annual Water Short Film Festival California, USA. 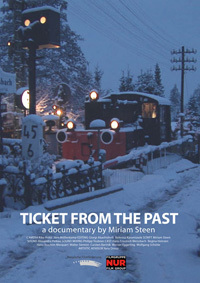 TICKET FROM THE PAST by Miriam Steen selected for 21st International Film Festival CinéRail. 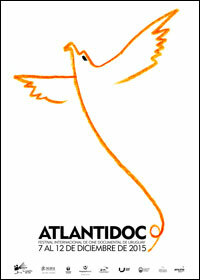 TRACES OF WAR by Jana Richter awarded with the prize for "BEST MEDIUM LENGTH DOCUMENTARY" at the Atlantidoc Festival Internacional de Cine Documental in Montevideo. Director Jana Richter presents her documentary TRACES OF WAR at the "Cine Invisible" Festival Internacional Film Sozialak in Bilbao. 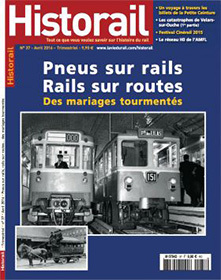 TICKET FROM THE PAST by Miriam Steen selected for NIGHT OF MUSEUMS KASSEL. TRACES OF WAR by director Jana Richter has its national premiere at the "Golden Apricot" Yerevan International Film Festival 2015. BAHAR IN WONDERLAND by Behrooz Karamizade available on DVD. BAHAR IN WONDERLAND by Behrooz Karamizade awarded with two prizes at the NW SHORT FILM FESTIVAL. TRACES OF WAR by Jana Richter celebrates its international premiere at the BEELD VOOR BEELD International Film Festival at the EYE in Amsterdam. at the Edinburgh International Film Festival. The short film participates in the FOCUS ON GERMANY strand together with the films of Dominik Graf and Edgar Reitz. BAHAR IN WONDERLAND by Behrooz Karamizade celebrates its US Premiere at the Palm Springs International ShortFest & Film Market. 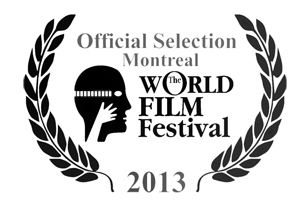 The NUR film production BAHAR IN WONDERLAND by director Behrooz Karamizade will be shown at the Montreal World Film Festival in the FOCUS ON WORLD CINEMA section. THE GREATNESS OF MAN from the directors Rike Holtz and Jana Richter wins the “PREMIO PUKAÑAWI / OJO LATINOAMERICANO” at the 9. 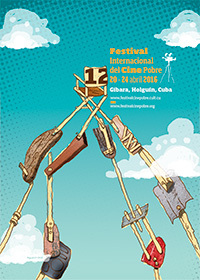 Festival Internacional de Cine de Derechos Humanos de Bolivia “EL SÉPTIMO OJO ES TUYO”. 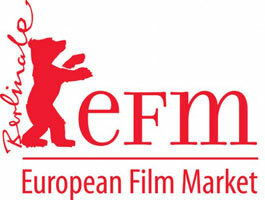 Premiere of the NUR film production SALAM ALEIKUM ALEMAGNE by Behrooz Karamizade at the European Film Market at the Berlinale 2012.